Accounting Day is held at the Town and Country Hotel Convention Center in Mission Valley, San Diego, California. Google maps and Map Quest do a great job to help you get there. The driveway for Accounting Day parking is on Fashion Valley Road between the Town and Country Convention Center and the Fashion Valley Mall. 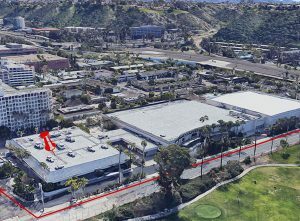 If driving north on Fashion Valley Road after exiting the freeway, the parking driveway is at the end of of the convention center buildings, turn right. Parking in the hotel guest’s parking lots will create unnecessary costs and confusion as to how to find Accounting Day,. For Accounting Day 2019 the room rate at the hotel is: Garden Rooms $129 & Royal Palm Tower $159. 800-772-8527, Option #2 8:00 a.m. – 7:30 p.m.